Vivo has officially brought the V7 to India, a couple of months after launching the V7+ in the nation. The new handset is a smaller and more affordable version of its larger sibling. It would thus be ideal for anyone who was interested in the older phone but didn’t want to handle a 5.99-inch screen. The V7 has a more compact 5.7-inch FullView display which has been placed on a 5.2-inch device’s body. It features an 18:9 aspect ratio, 83.6% screen-to-body ratio, and 2.15mm bezels along the sides. Other major changes include a tinier 3000mAh battery and a lesser 32GB of internal room. Most other specs have remained the same. This includes the Vivo V7+’ 24MP front-facing camera. The snapper offers the brand’s signature Moonlight Glow soft flash to light up photos, Face Beauty 7.0 to enhance facial features in photos and video calls, and a Portrait Mode to blur out the background in selfies to highlight the person up front. 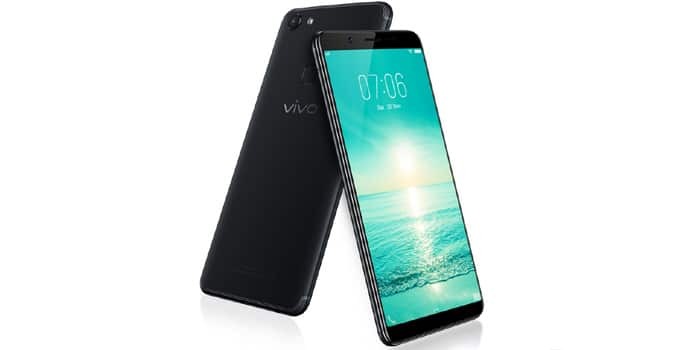 The Vivo V7 is priced at Rs 18990 and is currently available only via Flipkart. It’s now up for pre-orders and will go up for sale on November 24. Deals include an extra Rs 2000 added to the exchange deal bringing it to a total of Rs 18000, BookMyShow vouchers worth Rs 500, a special HDFC credit and debit card offer, and a free one-time screen replacement.